Hi, I’m Rachel and I’m the crafty gal behind I Heart Crafty Things. I created this community several years ago to share my love of crafting with my children. I am a firm believer that children benefit greatly by participating in arts and crafts time at an early age. Not only does it help them to use their mind creatively and express themselves creatively, but they are able to learn and become proficient in much needed skills for Elementary school like how to cut, glue, hold a pencil correctly, beginning sewing skills, how to paint and how to work with a variety of different art mediums. 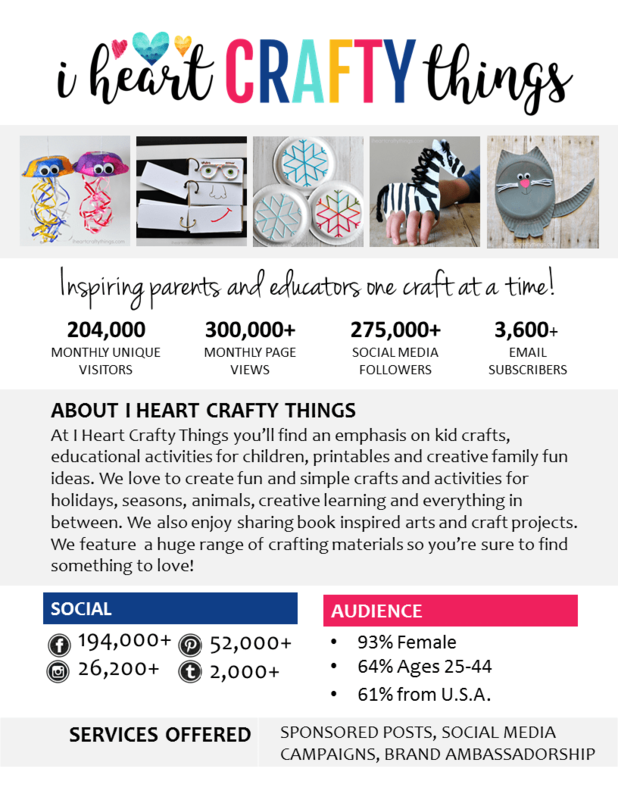 Some of my crafts and activities have been shared hundreds of thousands of times which makes my passion and desire to inspire parents and educators around the world even stronger. 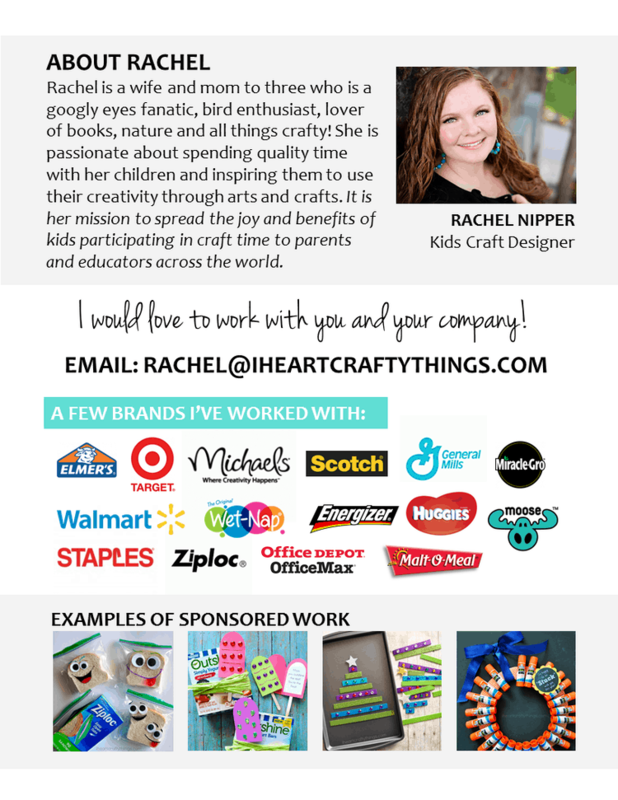 Please take a look below at my numbers which I believe will compel you to want to work with someone who is passionate about children expressing their creativity through arts and crafts.